Memorial movies: For decades, Memorial Day was the gateway to the summer movie season. In recent years, however, it's been overshadowed by early May's ability to jumpstart summer moviegoing. The long holiday weekend became Hollywood's way to launch summer with must-see event filmsin 1982 when MGM/UA's "Rocky III," starring Sylvester Stallone, entered the Memorial Day ring. Its $16 million opening was knock-out business for its day and instantly put the holiday on the Hollywood map. Memorial Day 1983 saw Fox launch George Lucas's "Return of the Jedi" to a stellar $41.1 million. For Memorial Day 1984, Paramount opened Lucas and Steven Spielberg's "Indiana Jones and the Temple of Doom" to $42.3 million in boxoffice treasure. In 1985, TriStar opened "Rambo: First Blood Part II," also starring Stallone, to $32.2 million. 1986 brought Cannon and Warner Bros.'"Cobra," another Stalloneaction epic, with a quieter $15.7 million. Memorial Day heated up again in 1987 with Paramount's $40.6 million opening for "Beverly Hills Cop," starring Eddie Murphy. That distribution pattern continued until the late '90s when Hollywood experimented with extending summer with a pre-summer season starting in early May. In 1998, Paramount and DreamWorks opened the sci-fi thriller "Deep Impact" May 8 to $41.1 million. That was almost as much as the $44 million Memorial Day haullater that month for TriStar's sci-fi thriller "Godzilla. ""Deep's" impact helped position early May as prime real estate for summer type movies. The following year, Universal unearthed "The Mummy" May 7 to $43.4 million, spawning a new franchise for the studio.In 2000, Universal and DreamWorks entered the early May arena with "Gladiator," which opened May 5 to $34.8 million. 2001 brought "The Mummy Returns" May 4 from Universal with $68.1 million in boxoffice returns. As good as that opening looked at the time, a year later it would be blown away by Marvel and Columbia's May 3 kick-off of "Spider-Man" to $114.8 million. That was amazing boxoffice business for its time and ledto the ongoing Marvel-ization of early May that got underway in a really big way in 2007 with "Spider-Man 3's" May 4 arrival to $151.1 million via Columbia. 2008 saw "Iron Man" check in May 2 with $98.6 million via Paramount. In 2009, it was "X-Men Origins: Wolverine" May 1 with $85.1 million via Fox. 2010 brought "Iron Man 2" May 7 with $128.1 million via Paramount. 2011 saw "Thor" arrive May 6 to $65.7 million via Paramount. 2012 put early May in the all-time record books when "The Avengers" exploded May 4 to $207.4 million via Disney. 2013 looked great, too, with "Iron Man 3" striking gold May 3 with $174.1 million via Disney. 2014 wasn't quite as amazing with "The Amazing Spider-Man 2" landing May 2 with $91.6 million via Columbia. 2015 rebounded with "Avengers: Age of Ultron"taking off May 1 to $191.3 million via Disney, maintaining early May's power position in Hollywood. 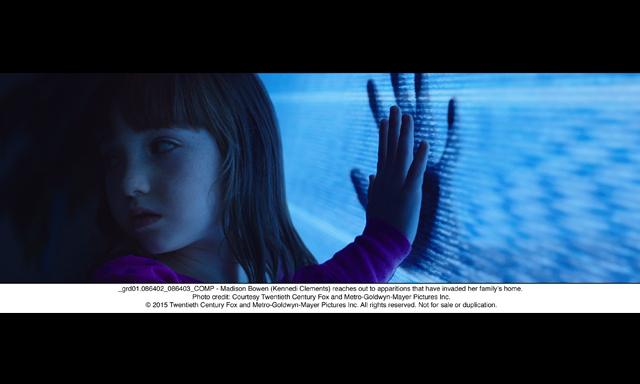 Right now we're on our way to the four-day Memorial Day weekend and two wide openings – 20th Century Fox, MGM and Ghost House Pictures' PG-13 rated 3D horror thriller "Poltergeist"at about 3,200 theatres; and Disney's PG rated family action adventure "Tomorrowland"at about 3,800 theatres. Directed by Brad Bird ("The Incredibles," "Mission: Impossible –Ghost Protocol"), "Tomorrowland" stars George Clooney, Britt Robertson and Hugh Laurie. It's tracking in double digits and nearly equally well with men under and over 25. And it's tracking in high single digits and equally well with women under and over 25. 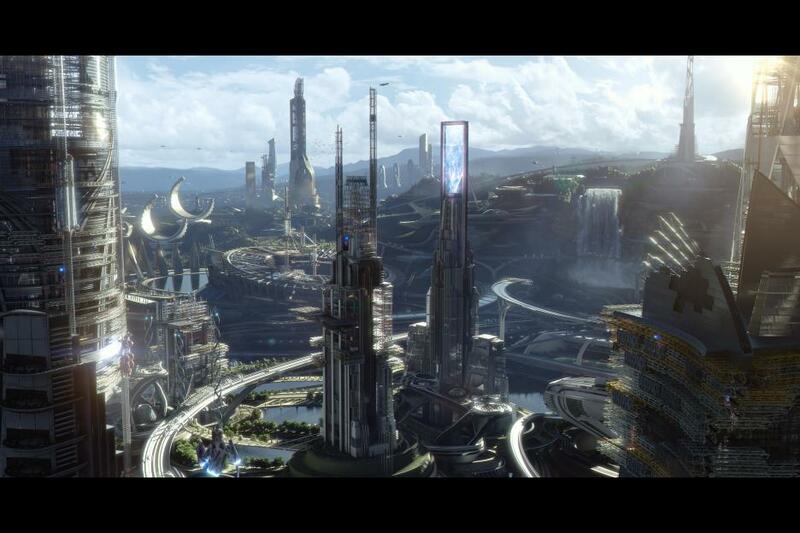 With its PG rating and the lack of any new or recent competition for family audiences, "Tomorrowland"looms as the moviegoing destination for parents trying to find something to do with their young kids over the long weekend (especially if there's rain to contend with). It helps that its title already has great recognition with parents thanks to its origins as a key Disney theme park attraction that many of them visited as youngsters, themselves. 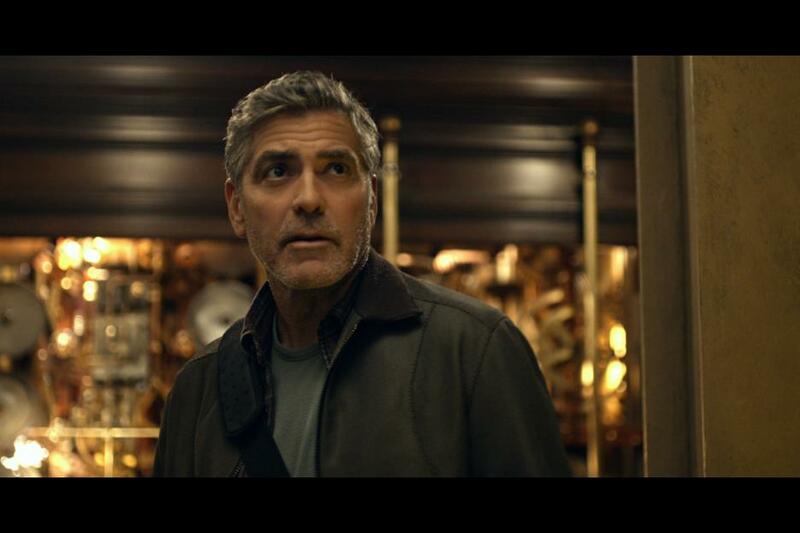 Itsstory revolves around an optimistic teenager and a jaded former boy-genius inventor (Clooney) who embark on a dangerous mission to unearth the secrets of the mysterious Tomorrowland –existing somewhere in time and space -- that's in their collective memory. "Poltergeist,"starring Sam Rockwell, Rosemarie DeWitt and Kennedi Clements, is from legendary filmmaker Sam Raimi (whose producing credits include the horror hits"Evil Dead" and "The Grudge") and director Gil Kennan("City of Ember"). It's tracking best with under-25 males and next best with under-25 females. The new film is a re-imagination of the classic 1982 horror thriller co-written and co-produced by Steven Spielberg and directed by Tobe Hooper ("The Texas Chainsaw Massacre"). It's about a family whose home is invaded by angry spirits that take their youngest daughter, forcing the family to come together to rescue her. Bottom line:Besides those new arrivals, Memorial Day weekend moviegoers can also catch up withtwo new hits that together opened to nearly $115 million last weekend. Universal and Gold Circle Films' PG-13 music comedy "Pitch Perfect 2,"directed by actress and first time feature director Elizabeth Banks, finished first with a high pitched $70.3 million. It stars Anna Kendrick, Rebel Wilson and Hailee Steinfeld. Warner Bros. and Village Roadshow's 3D action adventure thriller "Mad Max: Fury Road," directed by George Miller ("Mad Max" one and two and "Mad Max Beyond Thunderdome"), was a strong second with $44.4 million. It stars Tom Hardy, Charlize Theron and Nicholas Hoult. Meanwhile, "Ultron"came in a solid third with $38.8 million. Although it's already grossed $372 million domestically, it's still a safe bet to sell plenty of tickets over the holiday weekend. Internationally, it's done $770.5 million, including $156.3 million for its six days in China. Its global cume is already $1.14 billion, making it the eighth highest grossing film of all time, according to Disney. That cume should get a good boost from "Ultron's"July 4 opening in Japan.